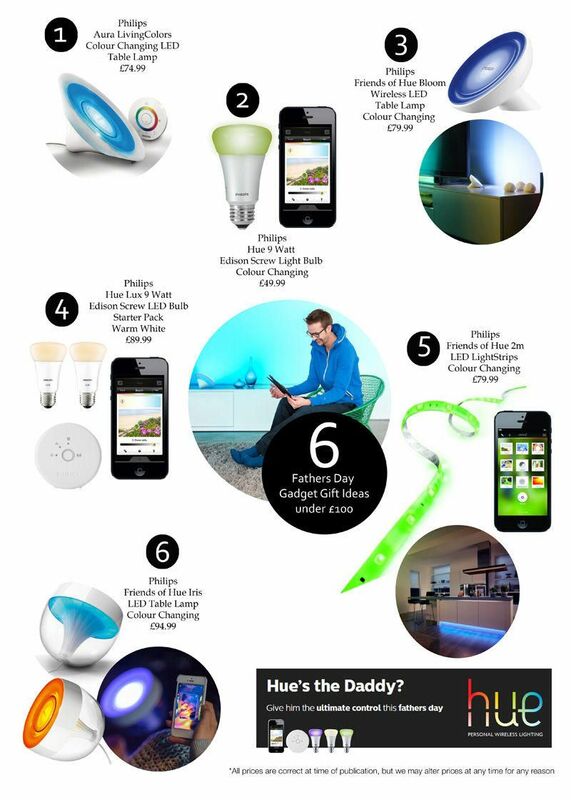 For dads who crave the latest gadget take a look at our Philips Hue and LivingColors Range, the ideal Fathers Day treat. This is a revolutionary collection of bulbs, table lamps and strip lights that can be controlled and personalised to suit your taste and mood with a simple touch of a button. 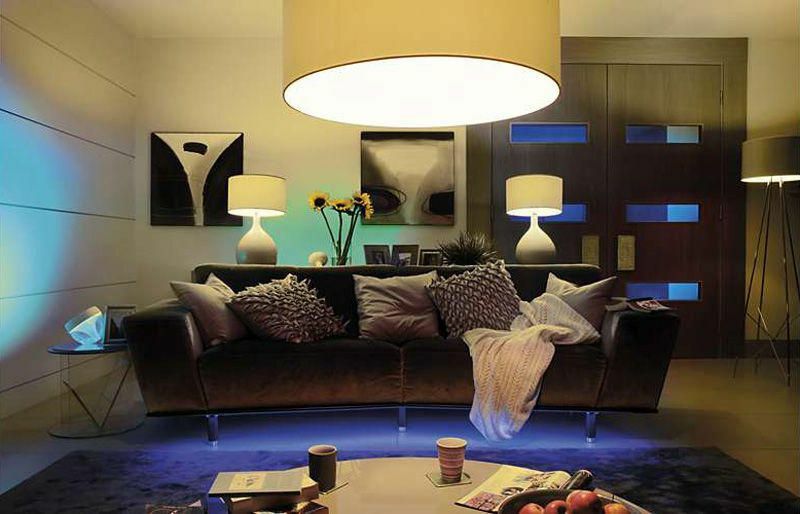 Our Hue range focuses on 4 main aspects, ambience, Health and Wellbeing, Security and Safety and Light Notification. For more information on this wonderful creation check out the official Philips Hue Website here.. Philips Hue Personal Wireless Lighting gives you control over the mood and situations of everyday life with the touch of a button. Wake up with Hue, protect your home with Hue and even improve your mood with hue. We’ve pulled together 6 top Fathers Day Gadget gift Ideas from our Philips Hue, LivingColors and Friends of Hue ranges. Give your dad the ultimate control this Fathers Day. If your dad already owns a large collection of hue bulbs or table lamps, he can use Philips Hue App to create scenes for each room. Pick a photo from the App or your own personal library, drag the colour picker over your chosen image and your bulbs will detect the colours from the picture. Save each photo onto your app as a ‘scene’ and change to suit your mood from day to day. 1. Our first pick is our Philips Aura LivingColors Colour Changing LED Table Lamp. This handy table lamp lets you choose up to 16 million colours to illuminate your chosen room with. A handy remote control lets you dim and adjust the colour intensity of the light. The colour-changing feature can be activated to display a rainbow of ever-changing colours. With 120 lumens this little gadget gives a bright output of light. 2. For dads who are already fans of the Hue Range and already own a Hue Starter pack you can help grow his Hue family with a new colour changing bulb. Our Philips Hue 9 Watt E27 Edison Screw Light Bulb will fit in any existing Edison screw fitting. Again, you can choose up to 16 million different colours of the spectrum with a simple touch of your smart phone or tablet. This little gadget can even be controlled away from the home. Your dad will have hours of fun changing the brightness and intensity of the colours. 3. 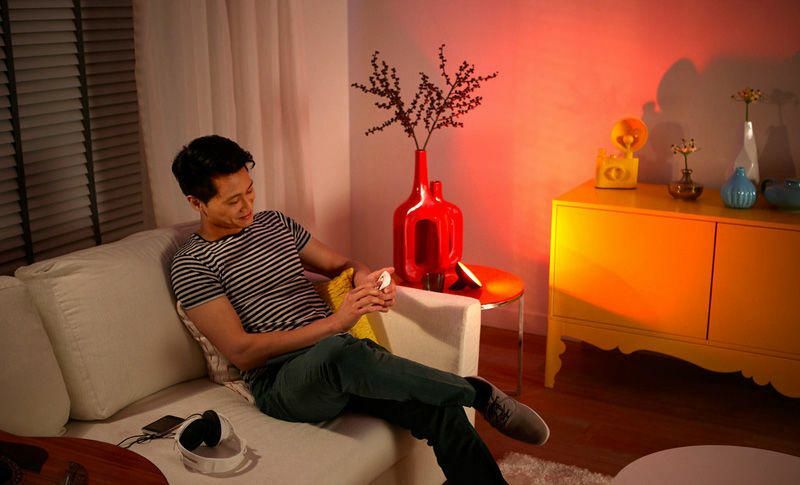 Our Philips Friends of Hue Bloom Wireless LED Table Lamp offers a similar effect as the Aura but with the help of a smart phone or tablet instead of a remote control. Download the Philips Hue App onto your dads phone so he can sync it to the central bridge controller (you can get the bridge controller with the Bloom Starter Pack). This will give him full control of the light from anywhere in the house. Adjust the colour, brightness and intensity to create the best mood for relaxing, entertaining and studying. It can even be used as an alarm clock, slowly awakening your body for a natural wake up. 4. If your pop prefers more subtle colours as oppose to rainbow tones then treat him to our Philips Hue Lux 9 Watt E27 Edison Screw LED Bulb Starter Pack. This collection consists of two warm white Edison Screw LED bulbs and a Hue Bridge that connects to any smart devices. With a simple touch of the App the warm white bulb can be brightened and dimmed to suit your dads taste. 5. 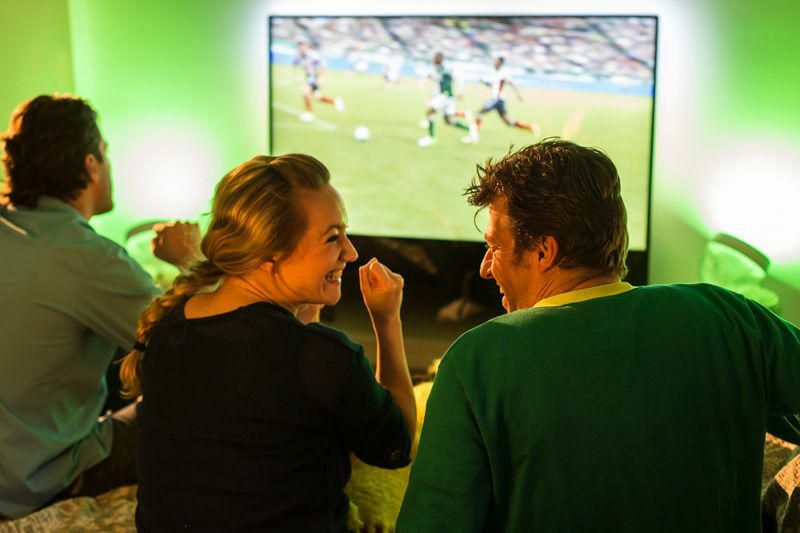 Philips Friends of Hue 2m LED LightStrips are a fun way of introducing light to just about any area of the home. 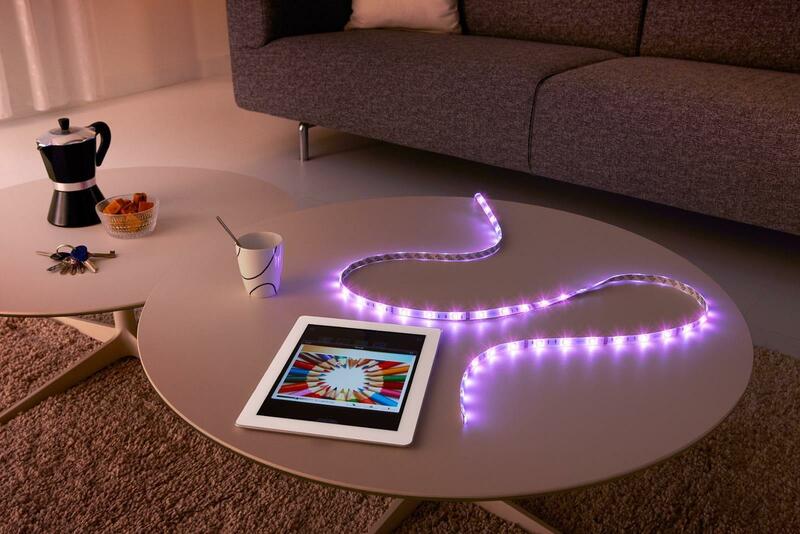 Your dad will love this little package, 2 metres of colour-changing LED tape that can be bent, shaped and even cut to the desired shape and length. Adhesive tape allows the strips to be attached to almost any area in the home. Attach under kitchen cupboards to illuminate work surfaces, above the bed post for a natural morning wake up. Stick along shelving to illuminate wall art and photo frames. This stunning gadget can even be synced to music when entertaining guests, the colour-changing option will project either a soothing or punchy light show depending on the style of music. Your dad will have endless hours of fun with this cool little gadget. 6. Give your dad’s study walls a wash of colour with our Philips LivingColors Iris Colour Changing LED Table Lamp. This handy lamp can sit snug on a shelf or sideboard or place it on the computer desk. To make use of this lights full potential place the lamp facing up towards a wall, this will create a wash of colour across the room. Connect with a smart phone or tablet and let the magic happen. Select a picture and the lamp will change its light depending on the picture colour palette. Choose a serene scene if you want to wind down or a colourful array of colours to get the party started. Again this device can be linked to music making it the perfect gadget to create a fun ambience and set the scene for a Fathers Day party. All our top picks are available for under £100, so let your dad have the ultimate control this Fathers Day. Please remember most of the products featured in this post will work only with the relevant Hue bridge starter packs.